Simply seasoned, pan seared salmon brushed with a scrumptiously sticky sweet sriracha glaze and topped with fresh pineapple salsa. 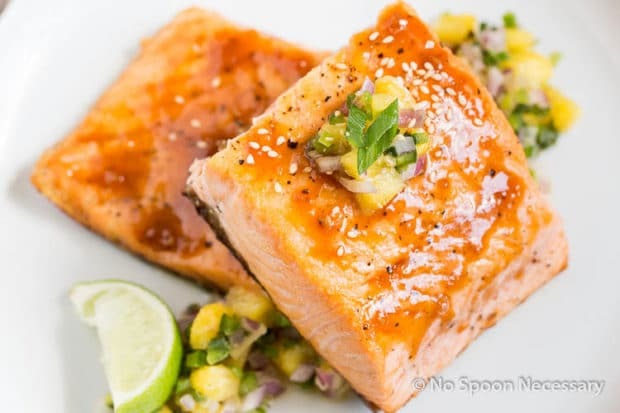 This Sweet Sriracha Salmon recipe is fresh, fabulous and bursting with flavor! Guess what!? I was nominated for a Liebster. Are you staring at me, through the computer screen, with furrowed brows and a pondering look upon your face? No worries. Turns out, it is a good thing. 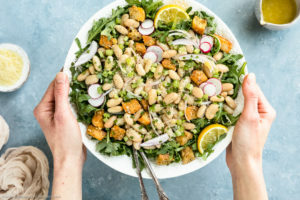 The Liebster awards are a way to recognize, and bring awareness to food bloggers, especially newbie bloggers such as myself… or at least that’s what my girl, The Chunky Chef says. Along with this nomination, I have been tasked to answer a few of her questions, as a way for all of you to get to know me better. Then I need to tap a few bloggers for nomination and ask them a few questions. So, I suppose it is, sort of, a Q & A duck-duck-goose, for food bloggers. 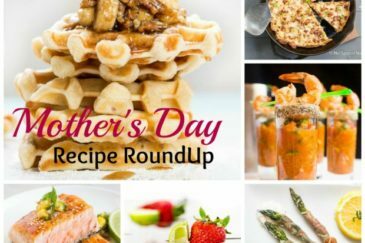 In case you want to know my answers to Amanda’s questions and the bloggers I have nominated, I have included all of that at the bottom of this post below the recipe. Now, let’s get down to business, and discuss this tasty dish I have for you today. 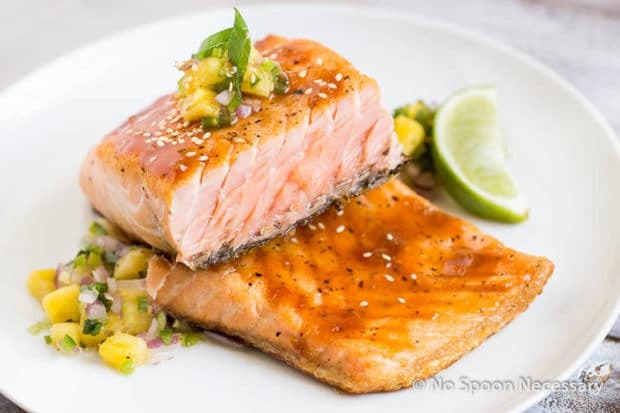 Flavorful, glazed salmon that is a combination of sweet and spice and everything nice. Thick, center cut salmon filets are simply seasoned in order to allow their innate rich flavor to shine through. Then they get pan seared to obtain a crispy exterior and a perfectly cooked, meltingly tender interior. 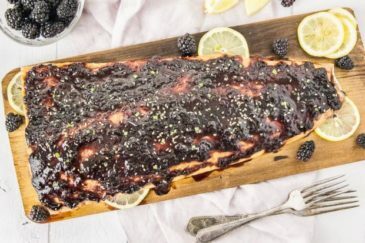 Generously drizzled with a scrumptiously sticky, sweet and spicy glaze, this salmon is phenomenal! The glaze is sweet from the pineapple juice, brown sugar and mirin, and balanced by the slightly spicy heat from the Sriracha. The addition of soy sauce, sesame oil and ginger produce a glaze that provides serious umami flavor and is so good you could slurp it up on its own. 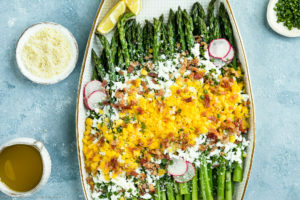 The accompanying salsa, made with fresh pineapple chunks, minced jalapenos, ginger and scallions further enhances the sweet and spicy combination to create a dish that explodes with flavor. However, this salsa is absolutely divine on its own or as a dip for chips, especially wonton chips! Aside from this dish being exceptionally delicious, it is also a cinch to prepare. There are, however, a few pointers I want to leave you with when it comes to properly pan searing salmon. 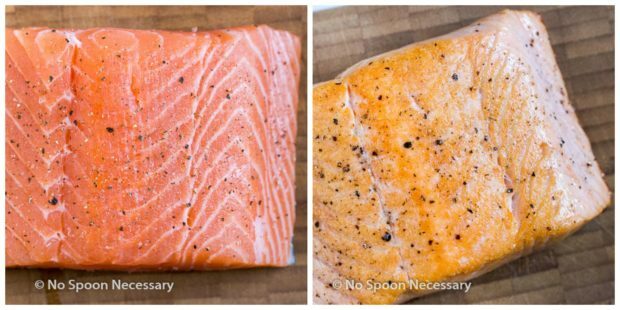 How to best pan sear salmon? Use a stainless steel sauté pan and get the oil HOT! I’m not saying burn the house down, but you want the oil to be shimmering, over high heat. Then immediately turn down the heat, to between medium low and medium, and add the salmon. Add the salmon SKIN side DOWN. It will mostly cook on this side and the skin helps protect the fish. If you do not like the skin, no worries, it easily peels off once cooked. Depending on the thickness of the salmon, it might try to curl up on you, always use a fish spatula to press down on the salmon. This prevents curling and also allows full contact between the salmon and the pan. Do NOT try to force flip the salmon! If the salmon is still clinging onto the pan, it is letting you know it needs a little bit more time on that side. Think of this as an internal thermometer the salmon was born with. If the salmon is still sticking, give it another minute then try again. Flip the salmon and use an instant read thermometer to cook the salmon on this side until desired doneness is achieved. I highly recommend you do not go over medium (140 degrees F. Once it rests, the final temperature will be about 143-145 degrees). Final note, I recommend choosing King Salmon for pan searing as it yields thick filets, perfect for this preparation. 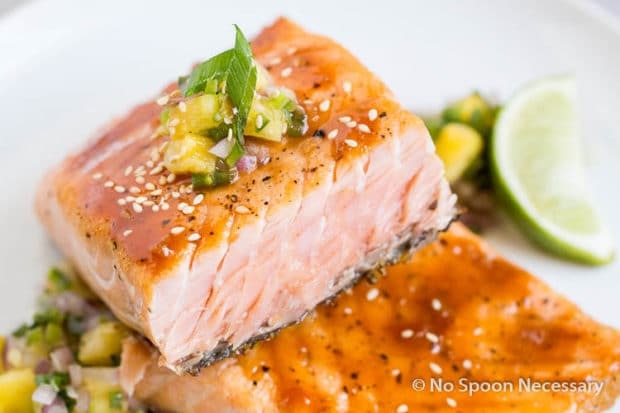 Is pan searing salmon healthy? Obviously pan-frying is a lot healthier than deep-frying salmon! While deep-frying involves submerging the food in a large amount of fat, pan-frying uses a much smaller amount of fat in the skillet. 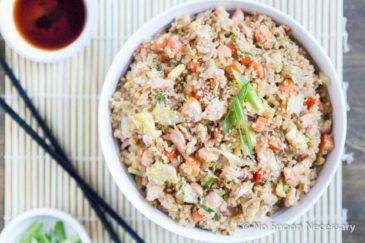 The sriracha salmon recipe below only uses 2 tablespoons of oil. 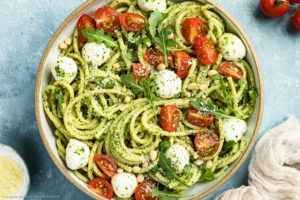 And, while the recipe calls for a neutral oil, such as canola or vegetable, you can substitute olive oil to add healthier fats to your fish. 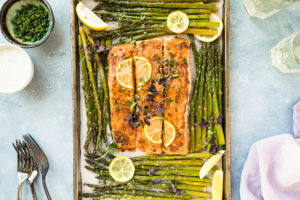 Bottom line, while broiling or roasting salmon is the healthiest preparation method for salmon, pan-frying is certainly healthier than deep-frying. Now that you have a few guidelines, and helpful hints, for how to obtain perfectly seared, crispy salmon, you MUST give this sweet sriracha salmon recipe a try. If you want to know my answers to Amanda’s questions, keep reading on. 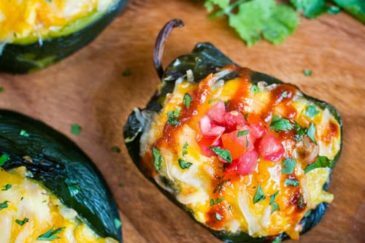 If not, scroll down and print out this recipe, because it is entirely too delicious to pass up. Simply seasoned, pan seared salmon brushed with a scrumptiously sticky sweet sriracha glaze and topped with fresh pineapple salsa. This salmon is fresh, fabulous and bursting with flavor! For the Salsa: In a small bowl combine ginger, lime juice, honey, mirin, splash pineapple juice, salt and pepper. Set aside. In a medium size mixing bowl, gently combine remaining ingredients for the salsa (pineapple through scallions). Pour the wet ingredients over the fruit/vegetables and gently toss to combine. Taste and adjust for seasoning. 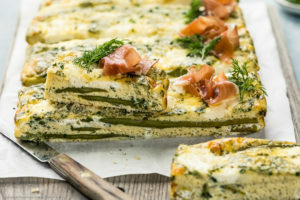 Cover and place in the refrigerator to allow the flavors to develop. For the Glaze: In a small saucepan, whisk together the pineapple juice, Sriracha, sugar, soy sauce, sesame oil, mirin, garlic, ginger, pinch of salt and pepper. Place over medium heat and bring to a simmer. Mix together cornstarch and lime juice. Add to the sauce pan, stirring. Bring sauce to a boil and immediately reduce back to low. Continue to cook over low heat until sauce is thickened, about 3 minutes. Taste and adjust for seasoning. Meanwhile cook the Salmon: Pat the salmon filets thoroughly dry between two pieces of paper towels, this will ensure a crispy sear. Season both sides of the salmon liberally with salt and pepper. Add oil to a large stainless steel skillet (do not use a nonstick skillet) and heat over medium high until oil starts to shimmer. Immediately reduce the heat to medium low, not allowing oil to burn. Add the salmon, skin side down, to the pan. Use a fish spatula to gently press on the filets to prevent them from curling up and to create full contact with the skin and the skillet. Cook until the skin is crispy and easily releases from the pan, about 6 minutes. If you have to force the salmon from the skillet, it is NOT ready to be flipped, continue cooking another 45 seconds-1 minute and try again. DO NOT force the salmon. Flip the salmon over and cook until a thermometer, inserted into the thickest part of the salmon, reads 125 degrees F for medium rare (about 3-4 minutes depending on thickness), or 130 degrees F for medium (about 1 minute longer). Transfer the salmon to a plate lined with paper towels. Allow to rest 2-3 minutes. 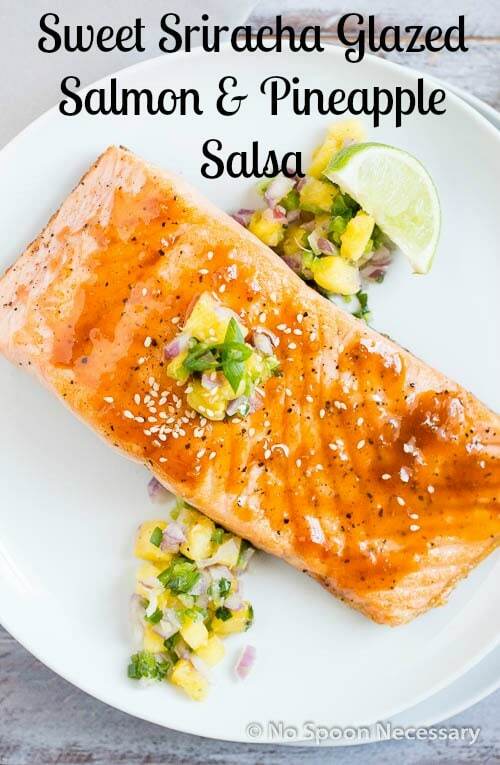 To serve: Plate the salmon, drizzle with glaze and top with salsa. *It is imperative you pat the salmon filets THOROUGLY dry to get a nice crust to your salmon. *Serving suggestions: Rice, Asian noodles, steamed or roasted vegetables. 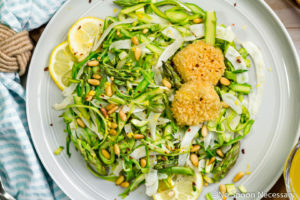 I served mine with Sushi Rice and Roasted Asparagus Tips. 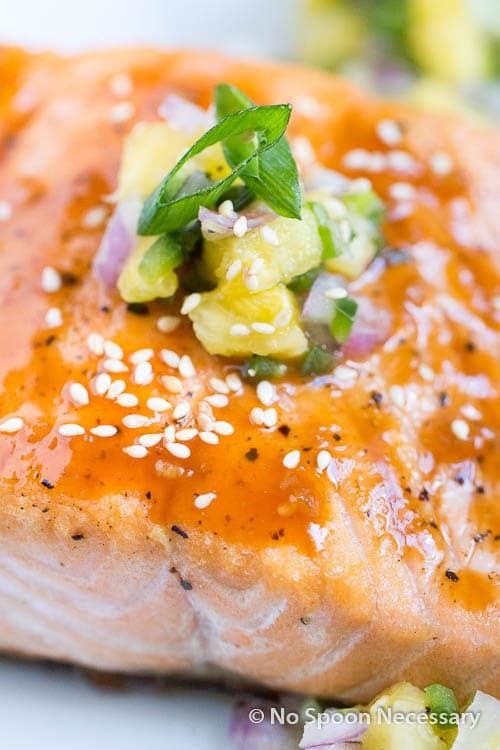 I love finding new ways to cook salmon and this sweet sriracha sauce looks like it will totally hit the spot. Congrats on your nomination too! Amy, Thanks so much for the nice comment! Boy (the husband) and I had to practice some serious self restraint to keep from guzzling all the sweet sriracha glaze on its own. You understand food blogger problems, must save the food for the photos, then devour! lol! Cheers, Girlie and I hope you have a terrific day! 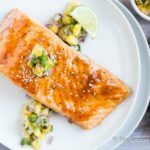 Salmon is a weeknight staple in my household, so you definitely can consider I will be making this recipe. Loving the sound of that sweet sriracha glaze! Amanda, thank you (again) so much for nominating me! Whoever thought of those awards deserves some cudos! It’s such a fun way to get to know other bloggers. I continue to look forward to getting to know more about you and following your blog! So great to have fellow foodie friends! Cheers, chickie!